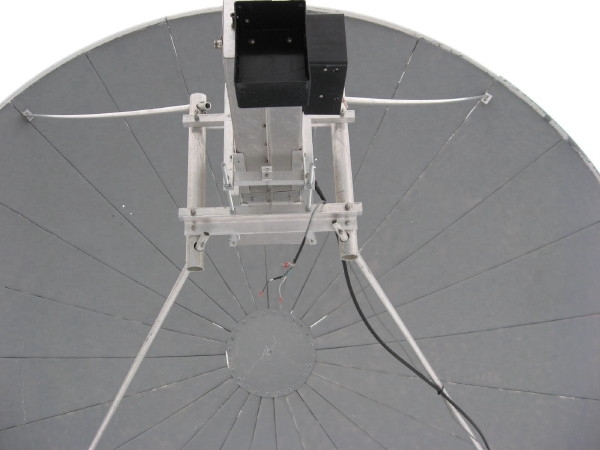 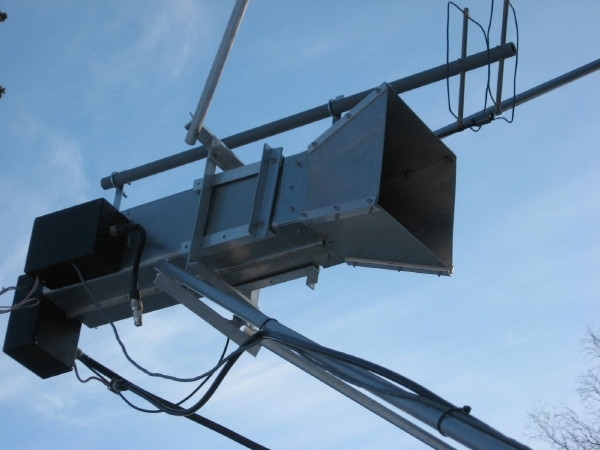 The dish is fitted with a W2IMU* feedhorn, G4DDK VLNA, and 300w solid-state power amplifier. 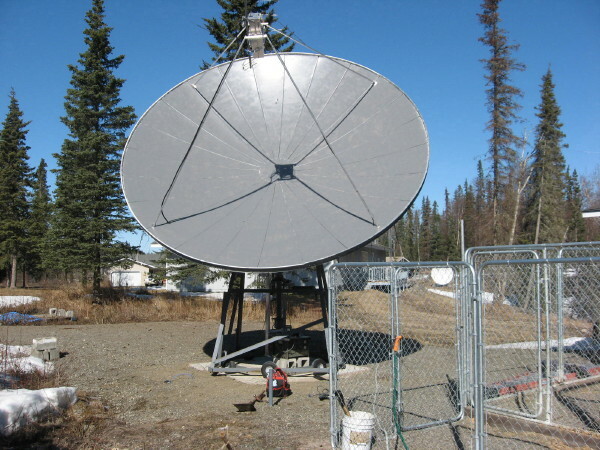 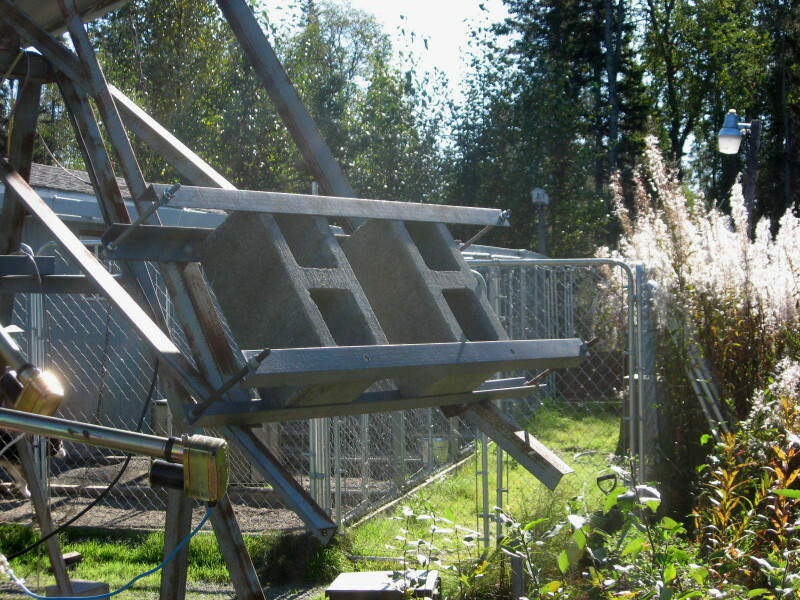 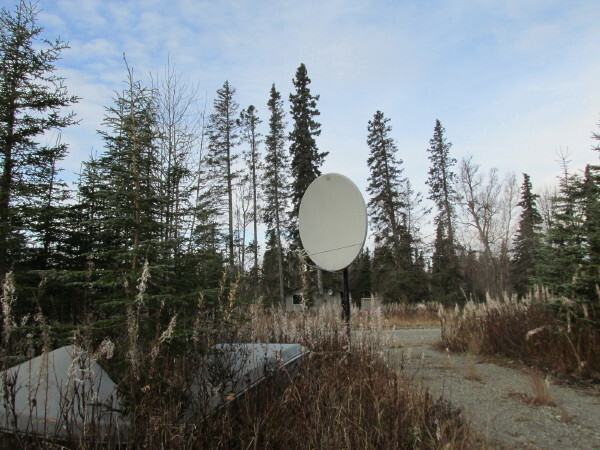 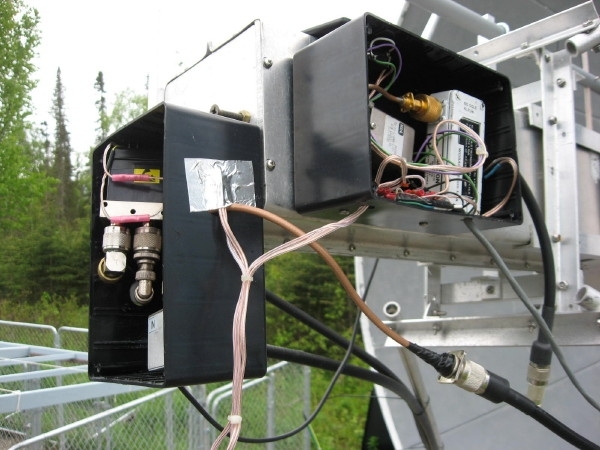 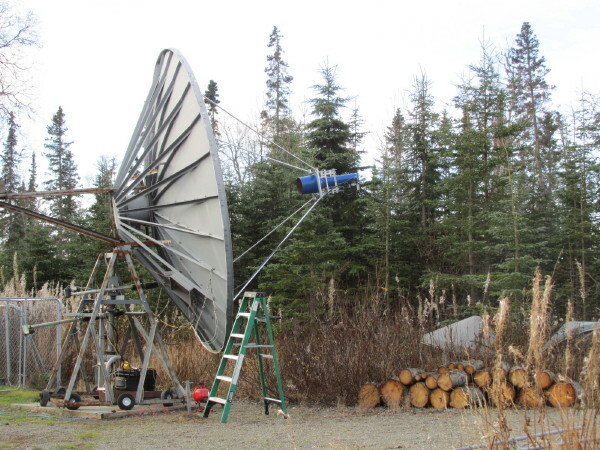 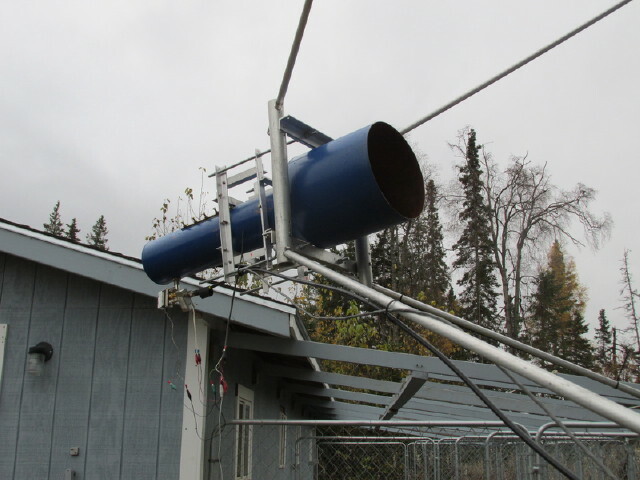 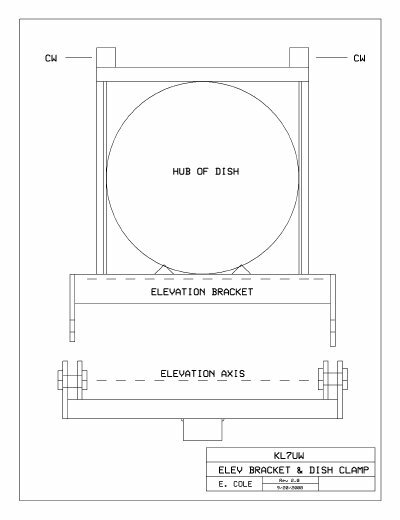 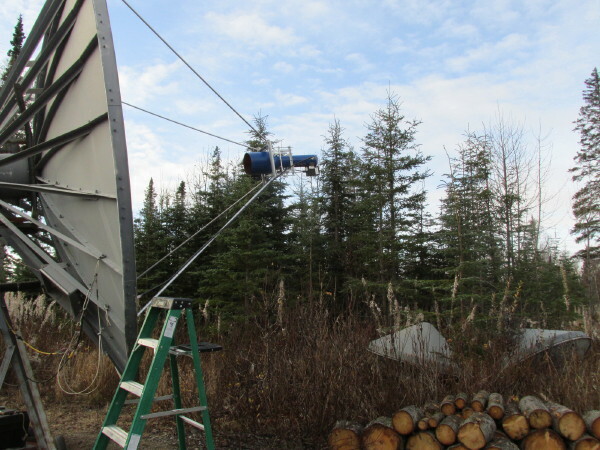 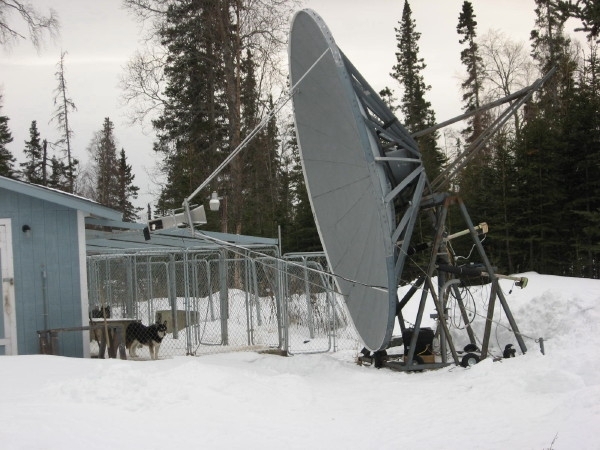 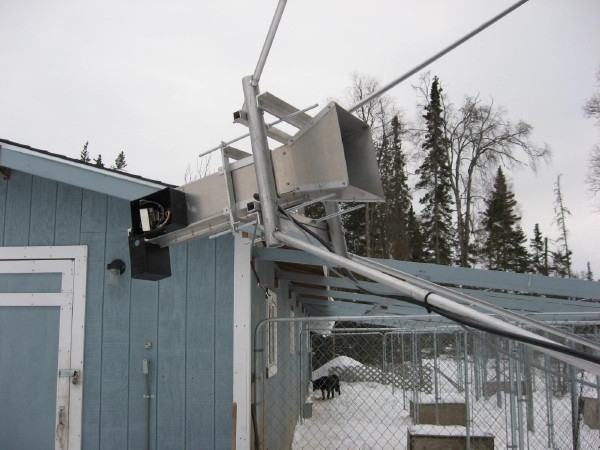 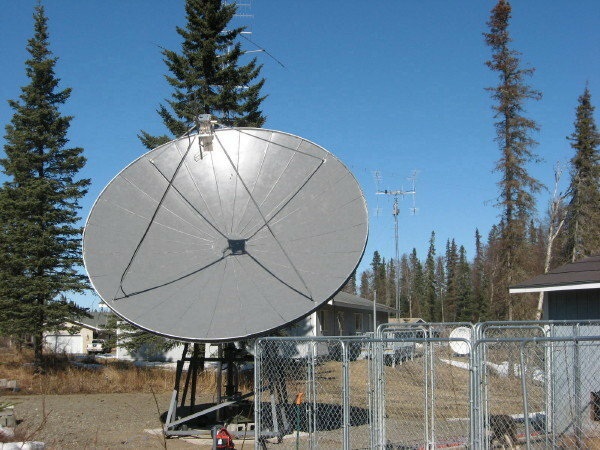 on the 4.9m dish was using a 60w amplifier in February  2014. 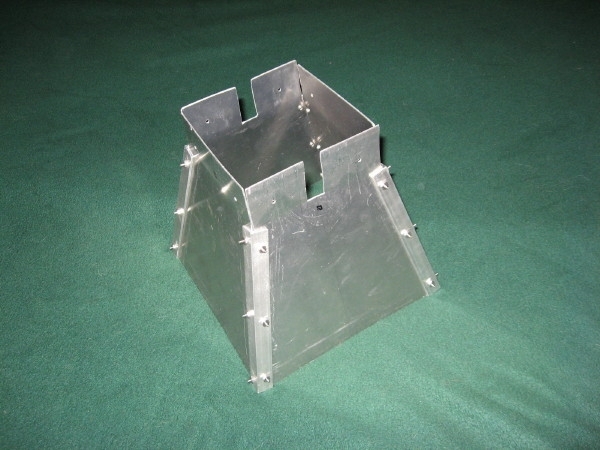 *Previous feed was a septum; Go here for information about the Septum Feed. 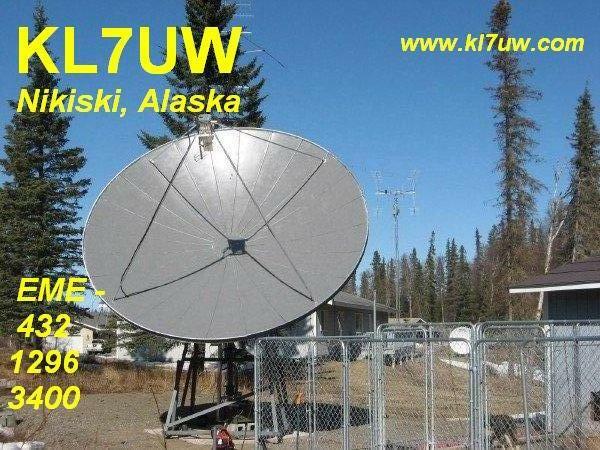 New mw EME QSL for 2018 will be made. 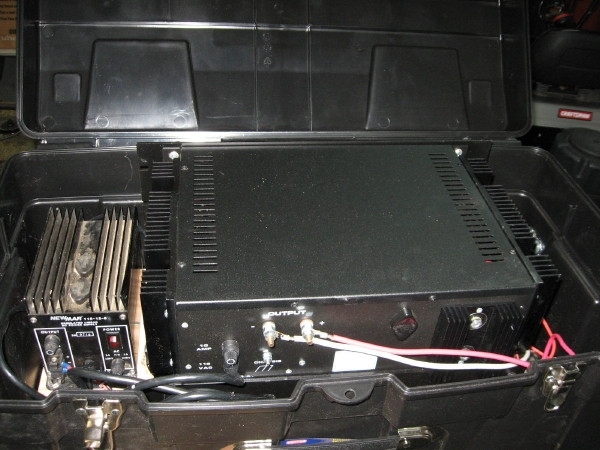 New W6PQL 600w amplifier has been purchased which will replace the 300w amplifier. 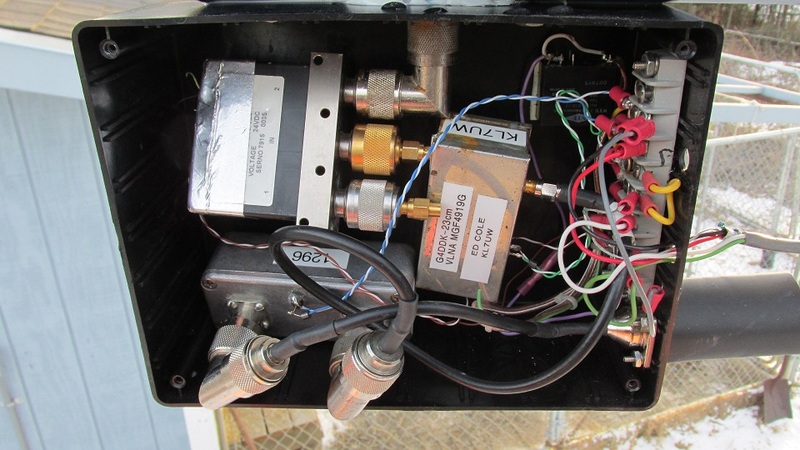 New LNA/TR relay enclosure installed and Tx Driver installed (see photo on right, below). 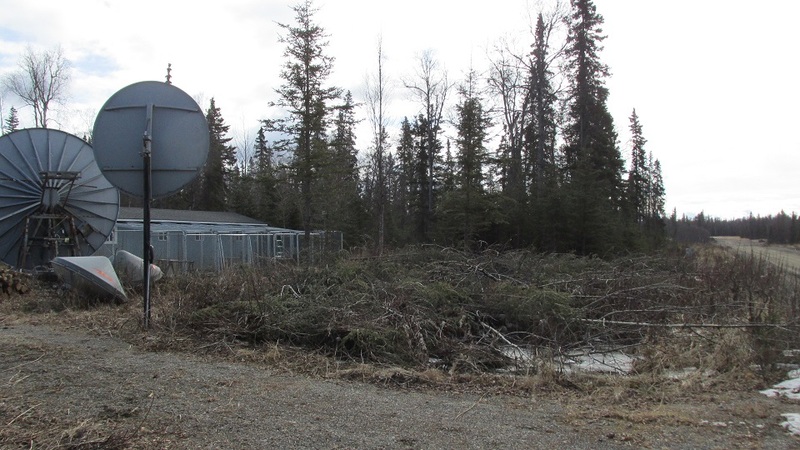 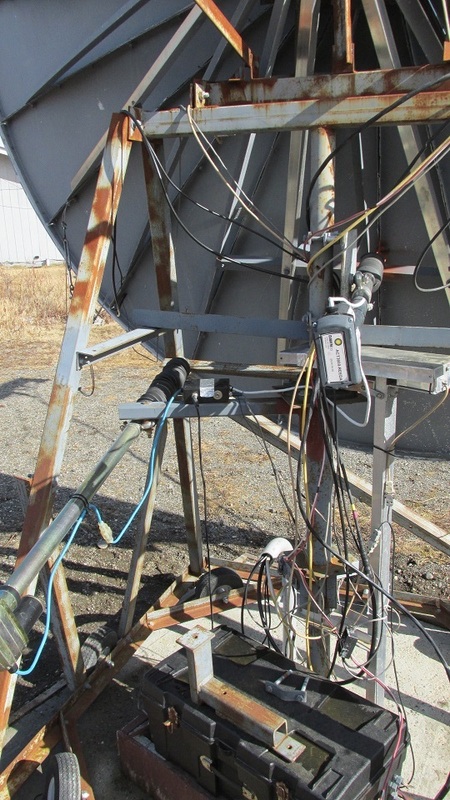 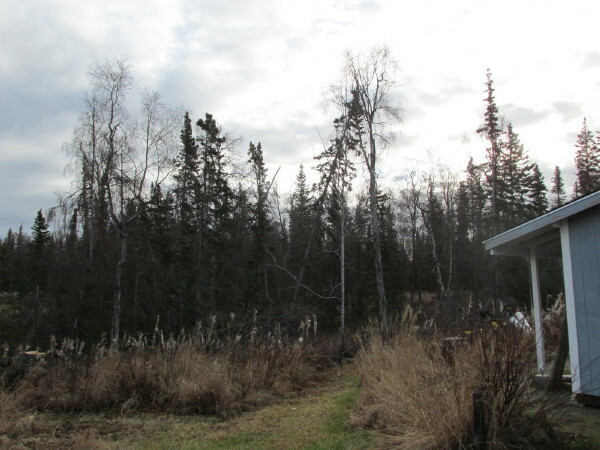 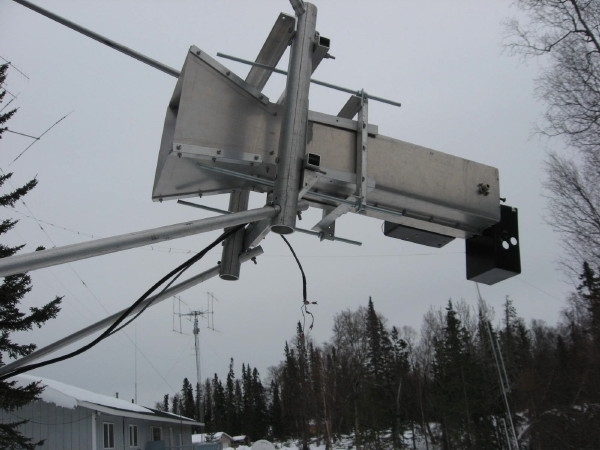 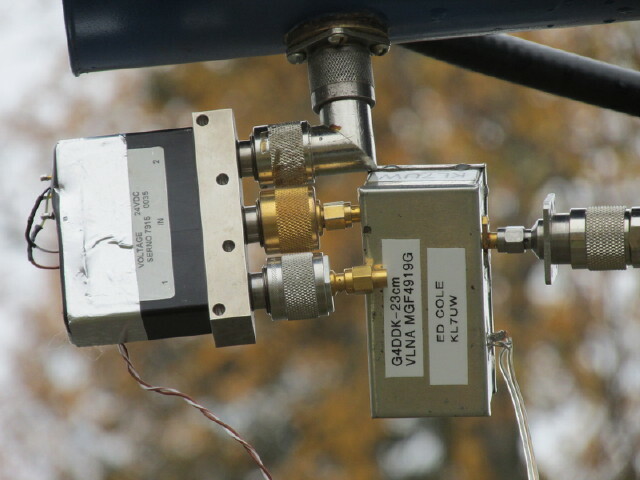 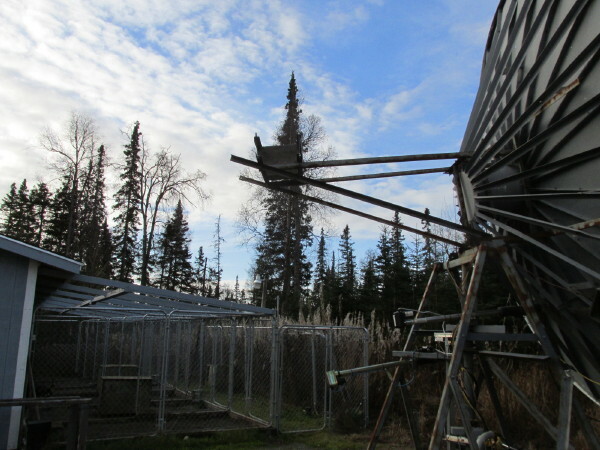 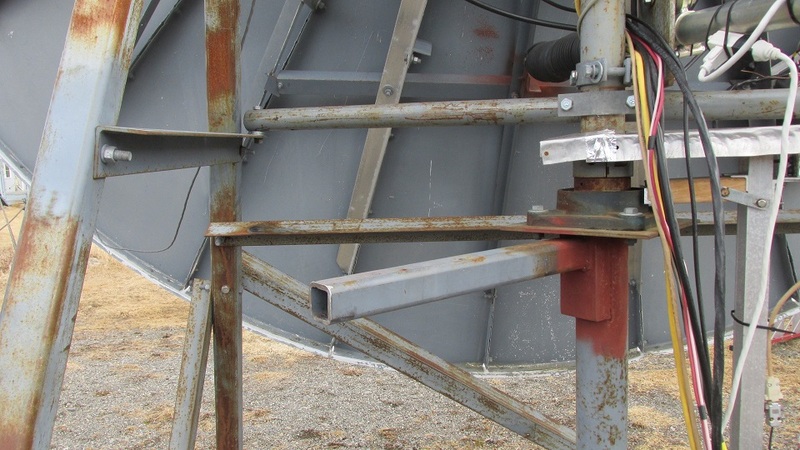 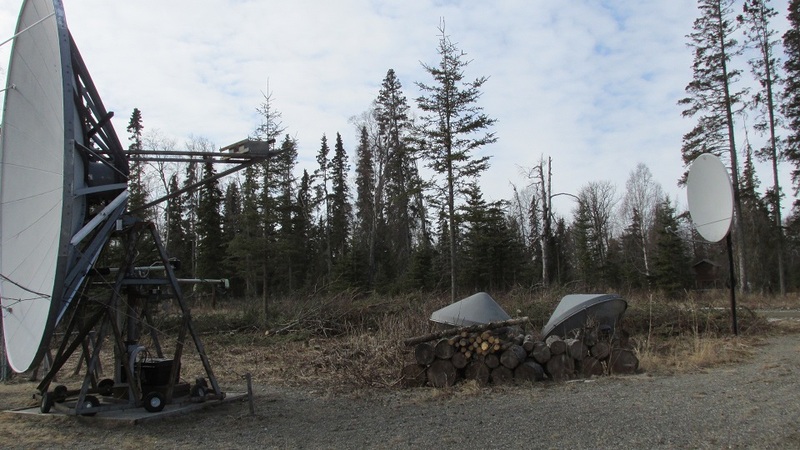 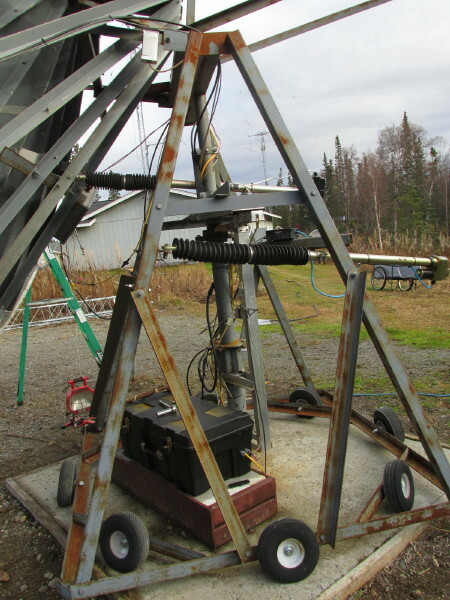 Modification of Azimuth Geometry to solve a mechanical issue was performed March 21-27. 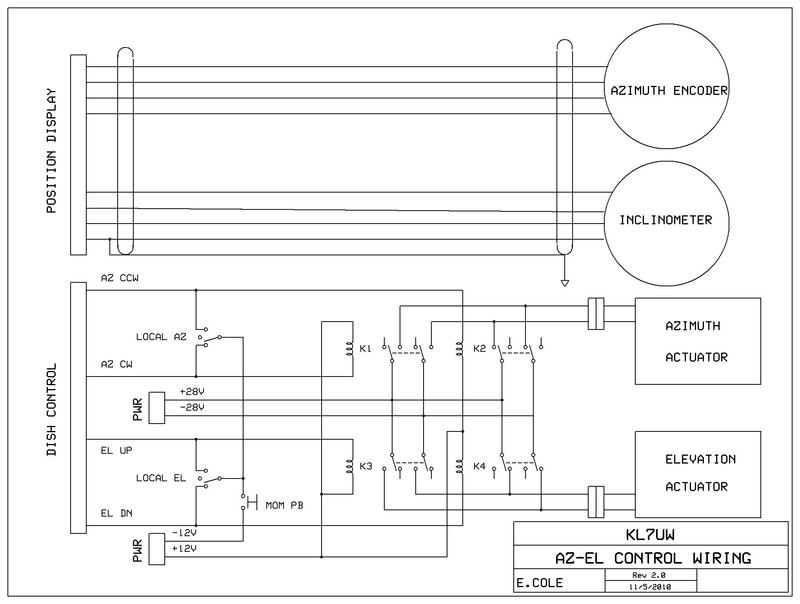 I am half-way toward building the 300w solid-state amplifier kit. 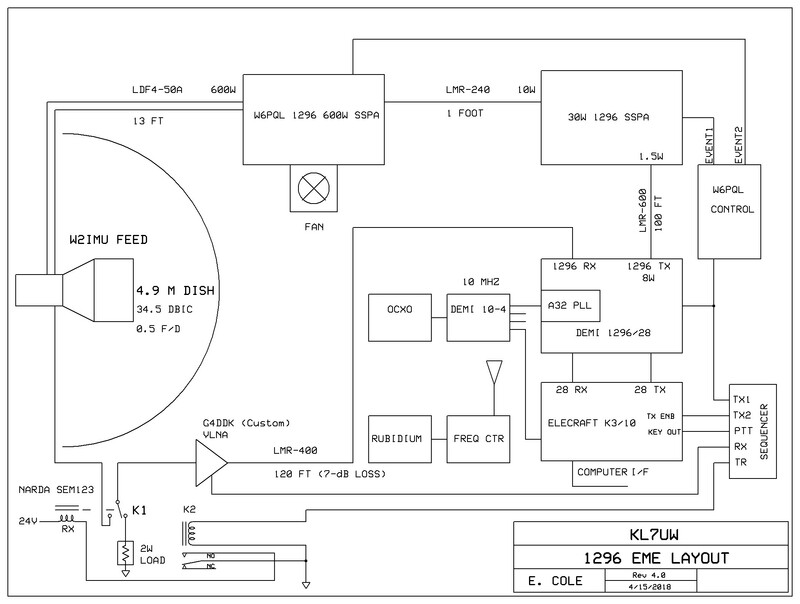 Go to 1296 Amplifier  for details and photo's documenting construction and testing of this kit. 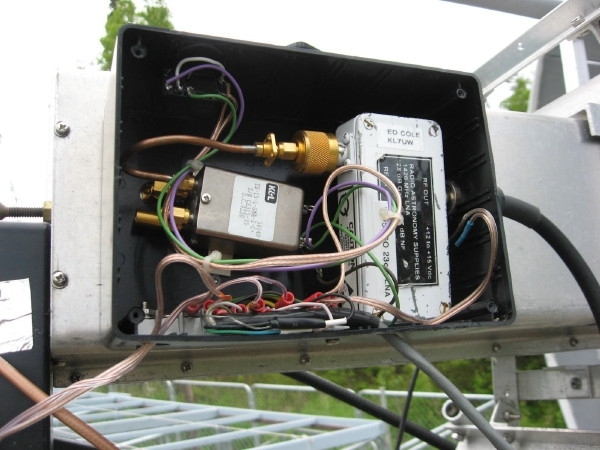 drive from the transverter produces 90w output at the dish. 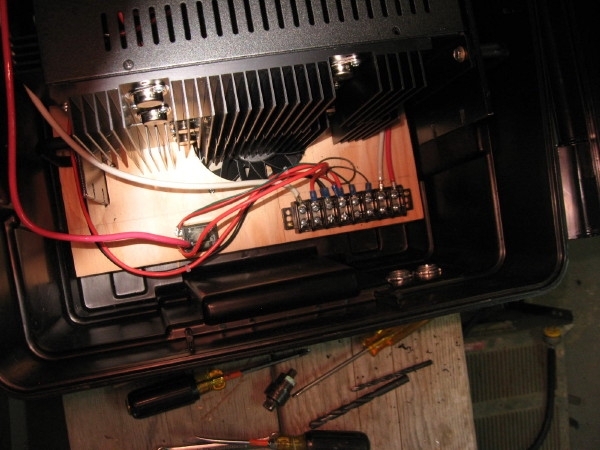 The 30w driver amp is finished and tested. 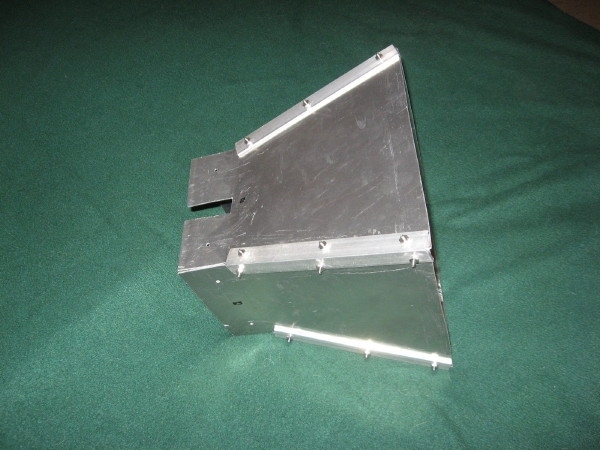 It can provide 10w drive so the initial 150w module can run at full power. 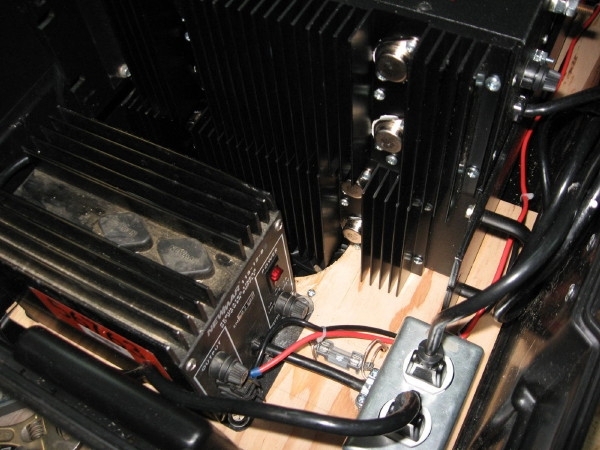 drive (18-20w) to the completed 300w amp comprised of the combination of two 150w amplifiers. 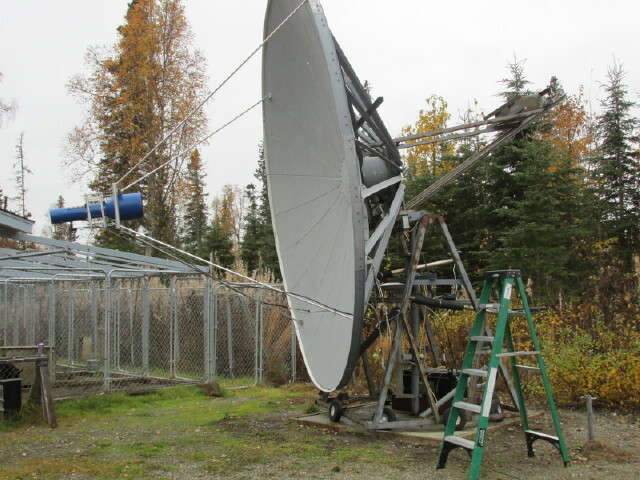 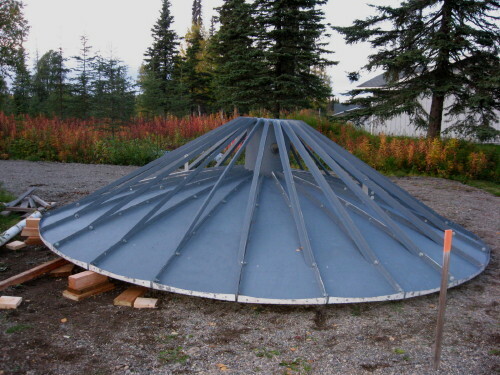 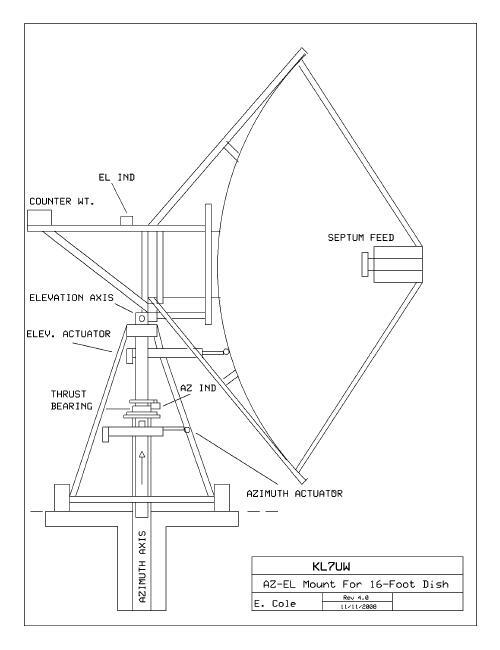 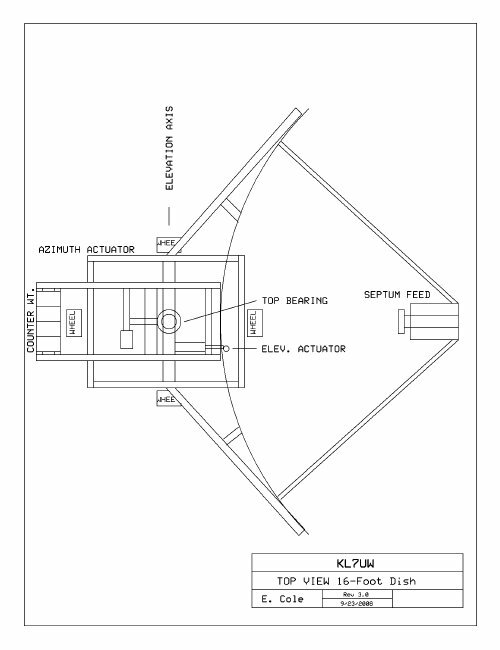 The dish mount permits az-movement in three stages: 080-156, 156-245, and 245-310 degrees (recently re-programmed). 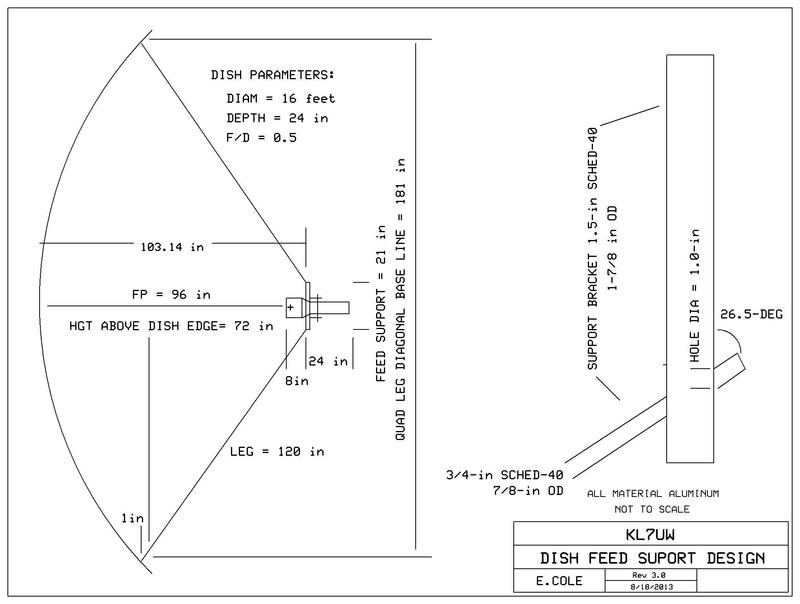 stepped in roughly 90-degree increments. 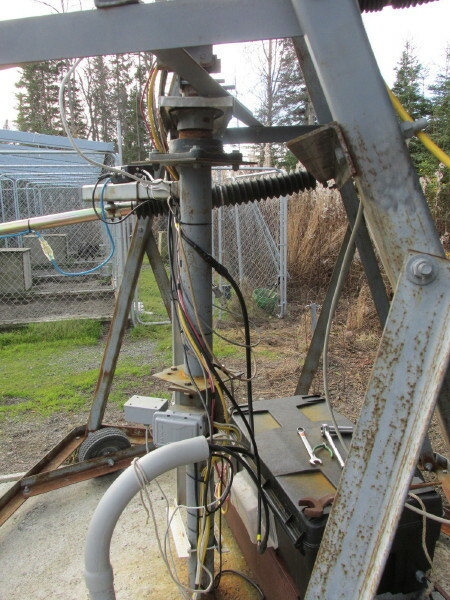 Elevation is from 0.5 to +52* degrees (*limit to protect actuator). 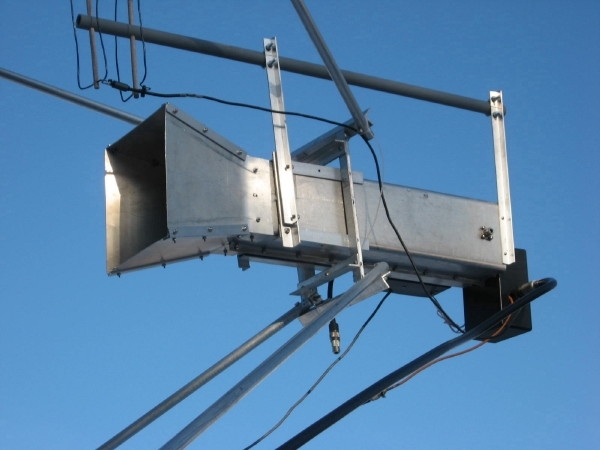 Clear view of the sky requires a min of 10-degrees elevation. 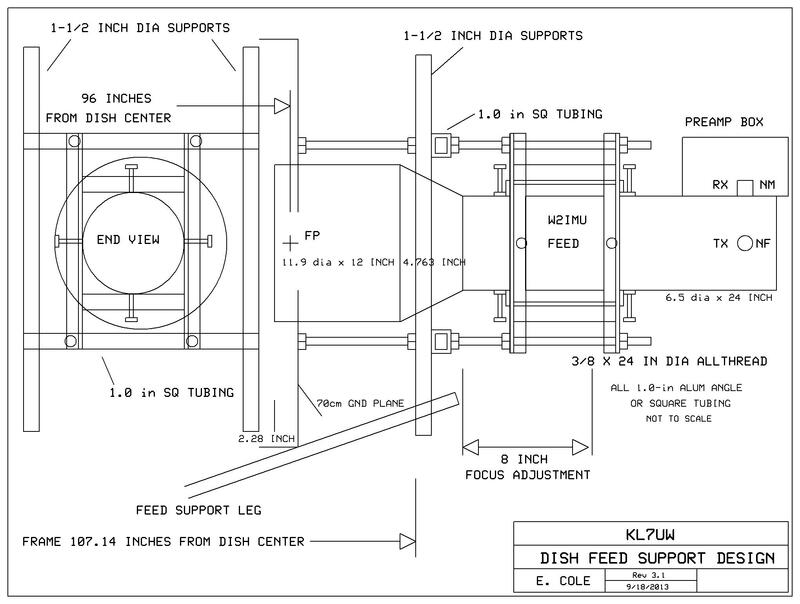 adjusting the feed focal distance. 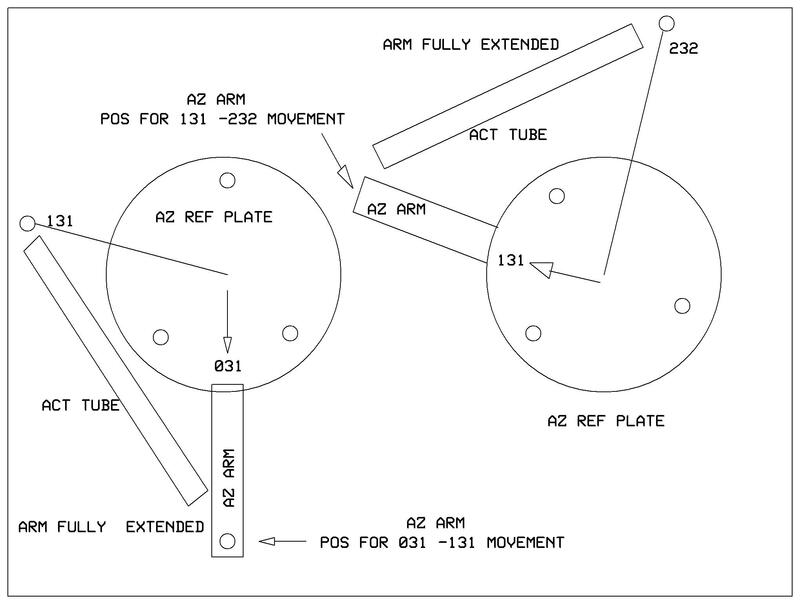 a HP-432A power meter. 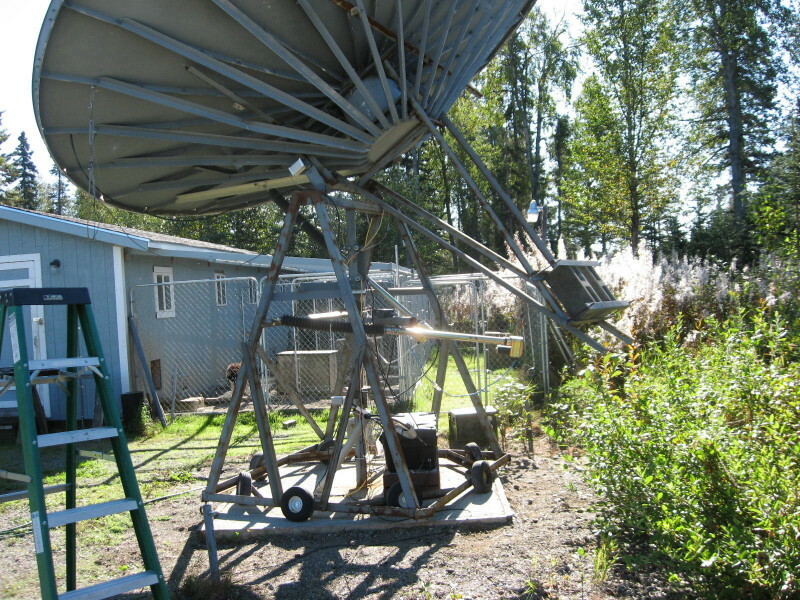 The feed measured 2-3 dB better return loss than my test load. 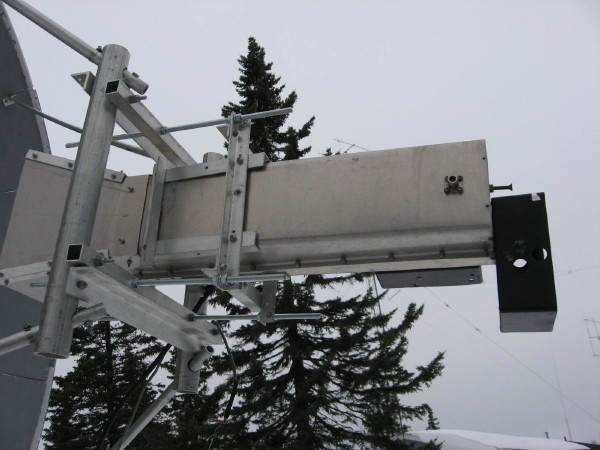 On Sept. 26 the new elevation actuator was installed and concrete block counterweights re-installed. 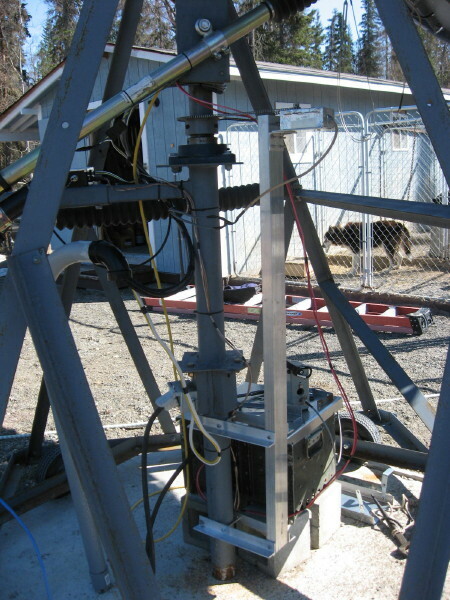 it was set to trip at 52-degrees (correlates to +23 degrees declination at my latitude of 60.675N). 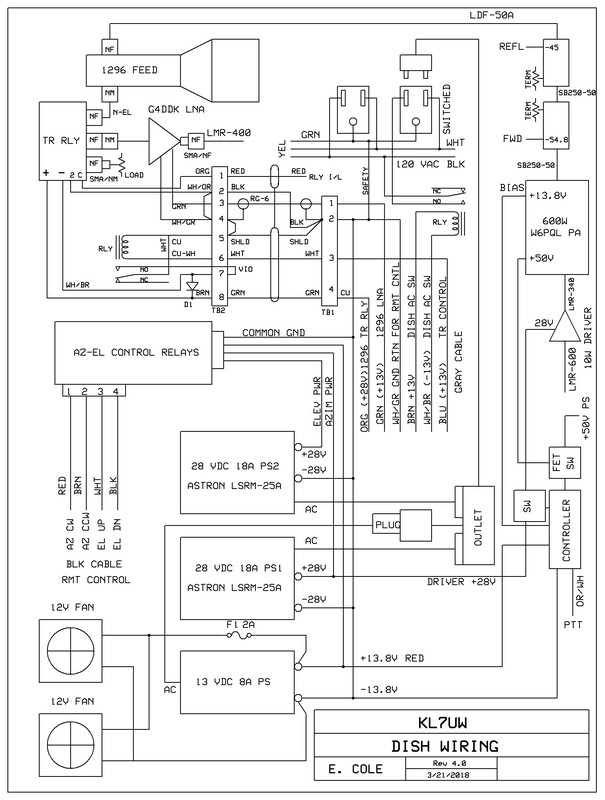 88vdc power supply for the two 48v fans. 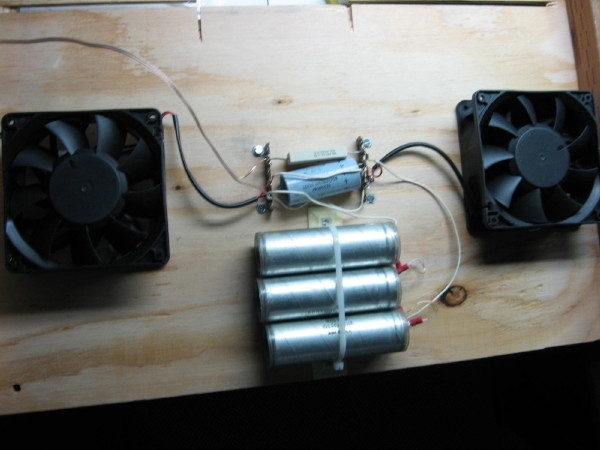 Interior of box showing auxiliary 12v PS and two fans in the floor. 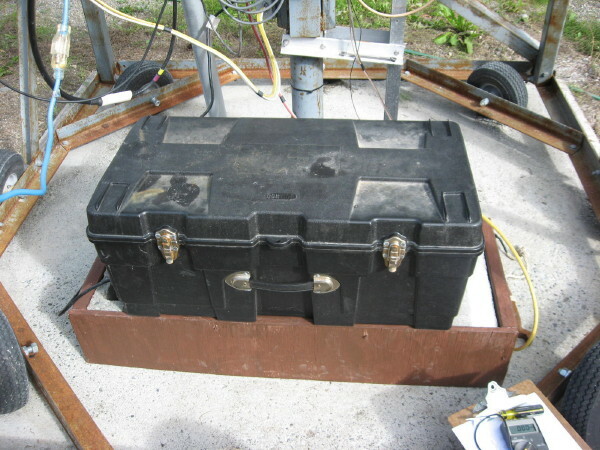 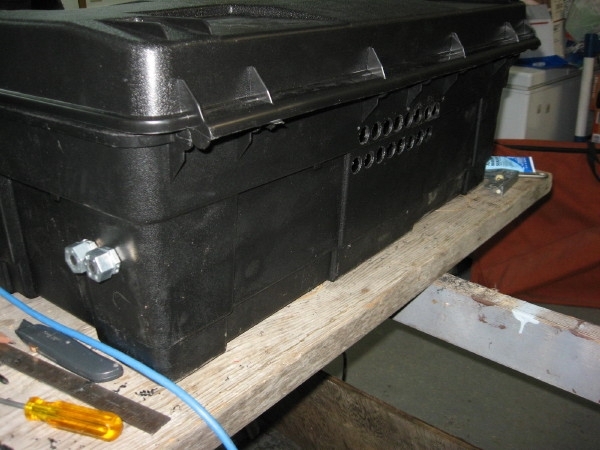 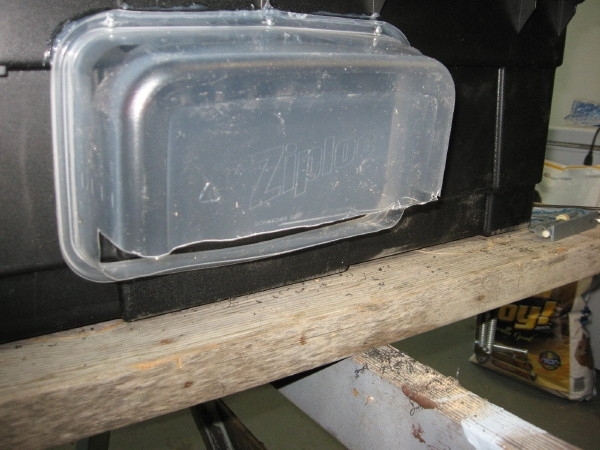 Top view of the power supply box (converted truck bed tool box) with Astron PS. 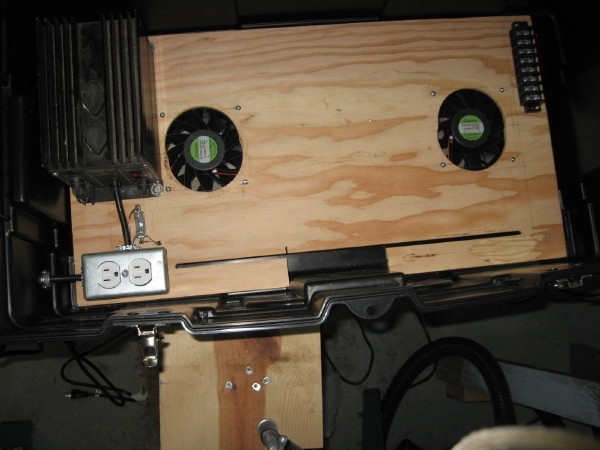 Detail view of AC outlet, 12v aux PS and fan fuse. 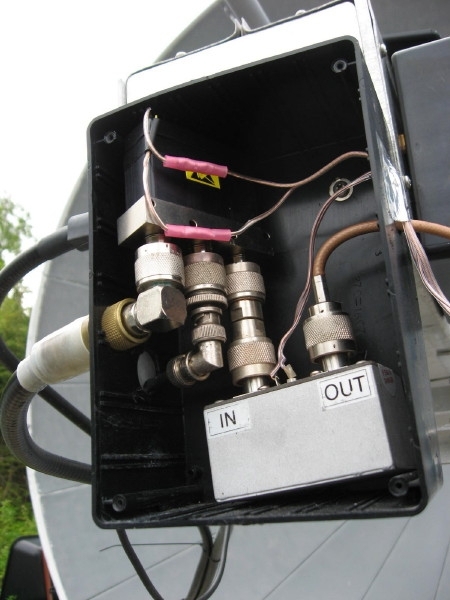 Detail view of DC terminal strip and 1296 PA 28v control relay. 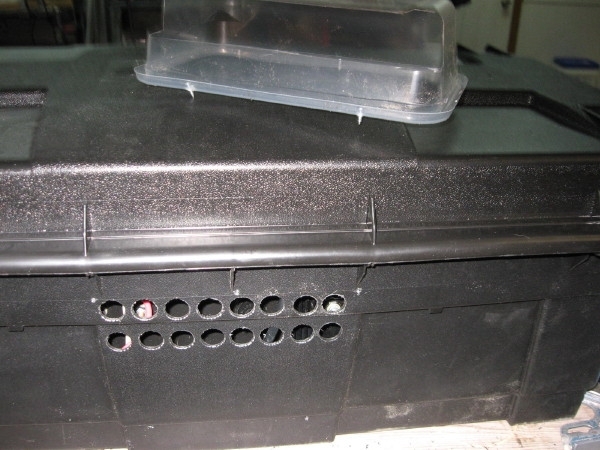 view of air exhaust vents in the box. 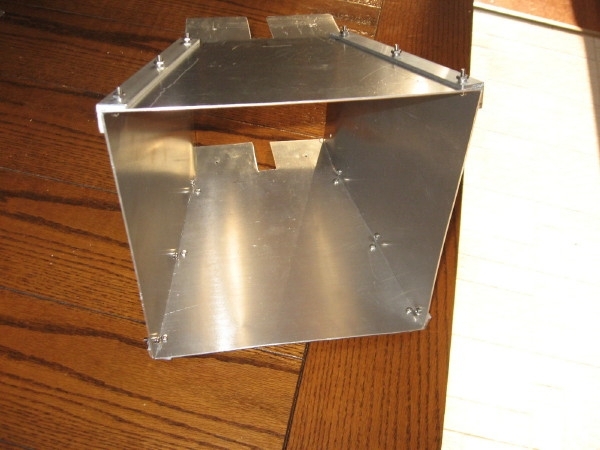 View of the wx shield for the exhaust vents. 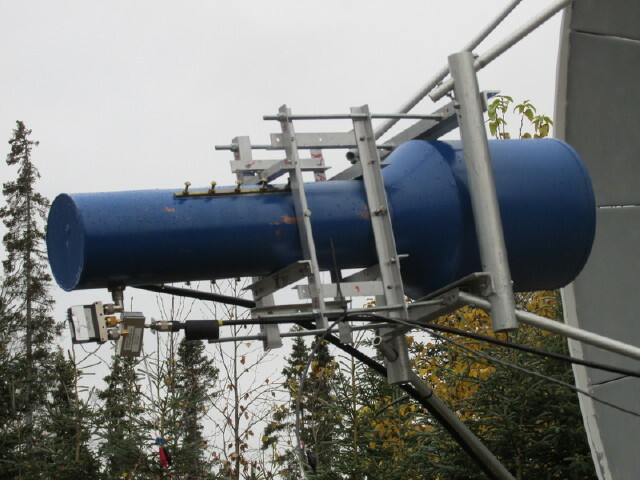 view showing vents and wx tight cable fittings. 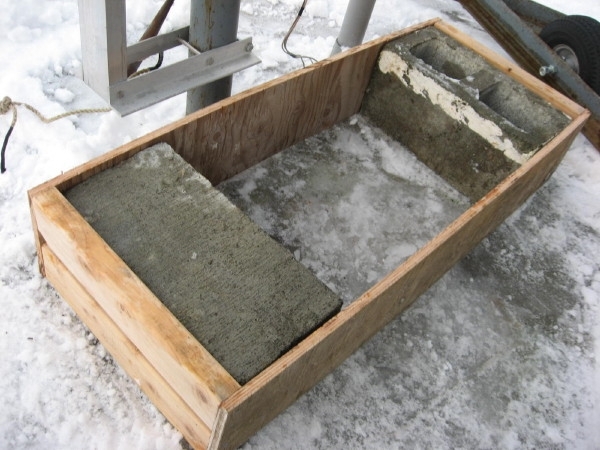 View of plenum formed by plywood and concrete blocks. 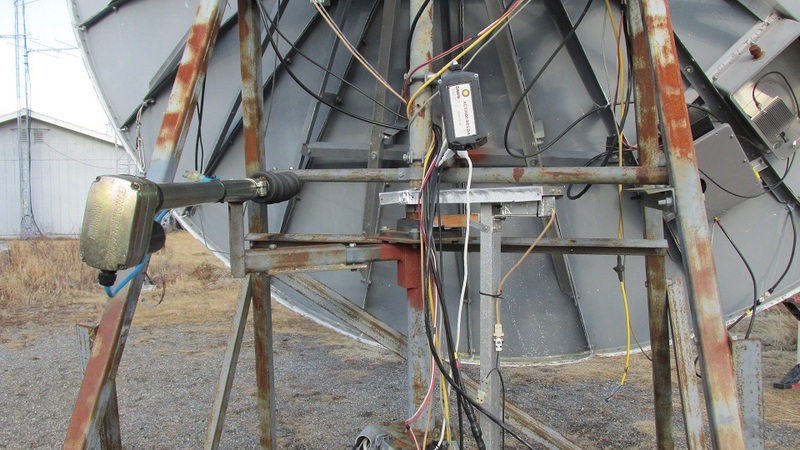 Box installed on plenum under the dish. 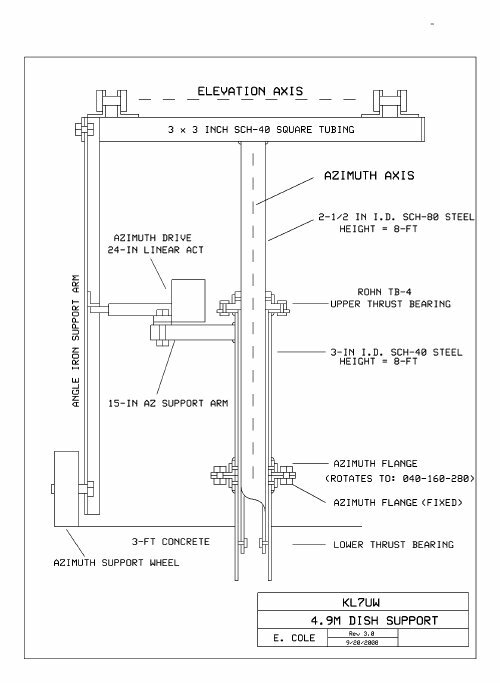 Link to Construction history photos. 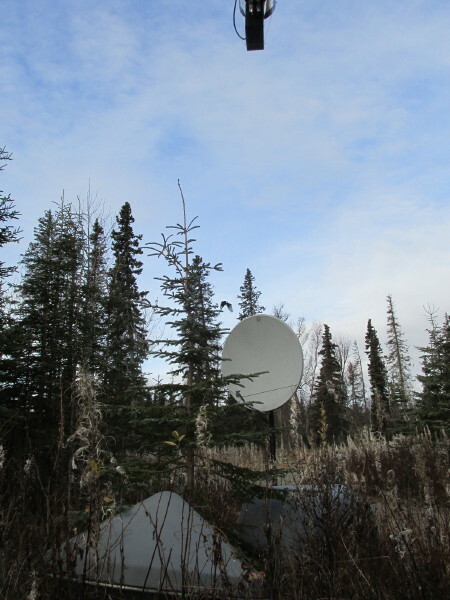 NOTE:  The following photos are archival of installation previous to Fall 2013. 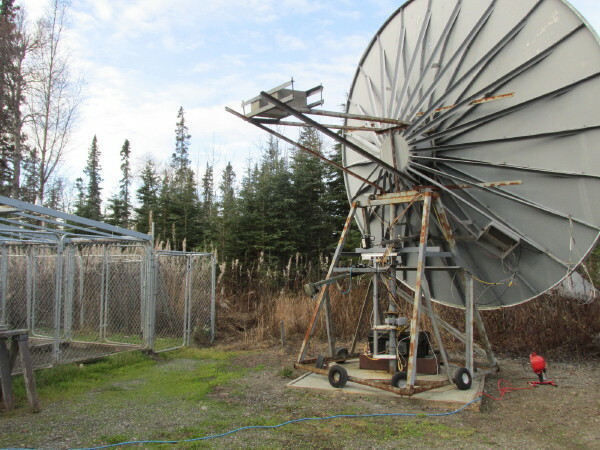 Return for updates on station progress!